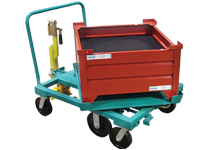 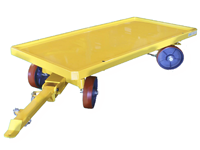 Topper Industrial designs and engineers various industrial delivery carts for line side applications. 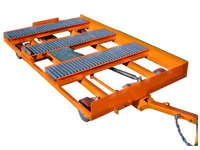 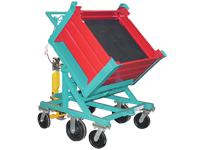 Each Topper material handling cart is designed with specific plant floor applications in mind. 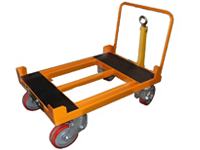 Whether you need an engineered to order cart or have an application for a standard cart, Topper will create the best solution for your specific need. 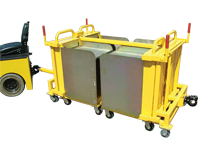 Some examples of the different material handling carts are Mother / Daughter Cart Systems, Quad Steer Carts or Tracking Carts, Specialized Delivery Carts, Transfer Carts with Roller Deck, Static Carts, Rotation Carts, Tilt Carts or Kitting Carts. 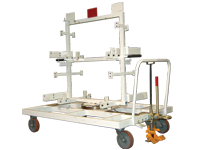 Topper Industrial prides itself on quality of design and the durability needed in a factory environment.